Happy fall, everyone! The opera season in New York started this weekend with Atys at the Brooklyn Academy of Music and I went and wrote about it at Bachtrack. graceful dances and its success was again influential. This was a great performance, but I personally preferred LAF’s last big BAM project, The Fairy Queen. This is probably because it was so funny and different and as a semi-opera had a lot of novelty value for me. This is the kind of novelty that Atys had when it was first performed in NYC in 1987 1989. 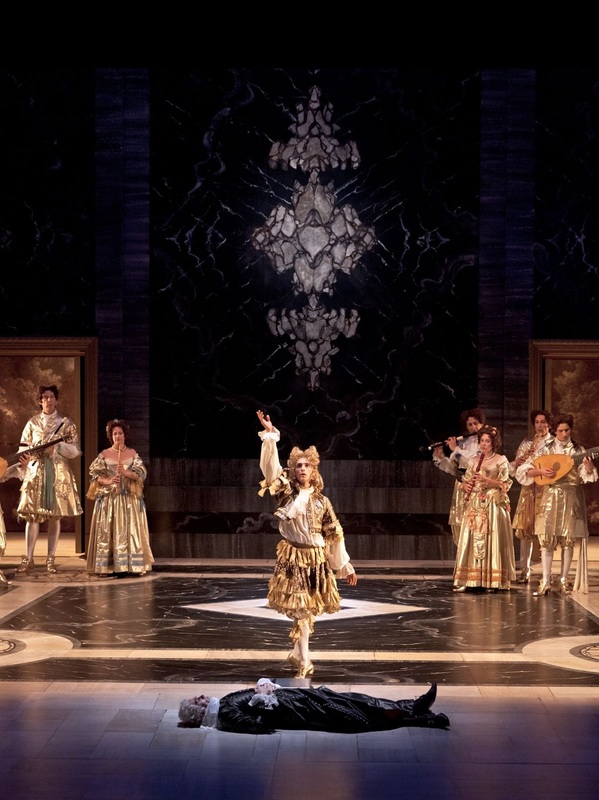 Lully opera has become more established but hardly commonplace since, so some of that freshness is still there today, but not to the same radical degree–I’ve certainly heard a lot more Lully than I have semi-opera. How much of Atys‘s original success was due to the novelty of French Baroque and how much due to the production’s undeniable excellence? This is part of the reason why I’m a little disappointed that Les Arts Florissants have redone Atys instead of creating another production to expand our limited repertoire of French Baroque opera in New York (LAF has done a lot more in their home base in Europe but only a few of those productions have come to BAM). I know that this new iteration came into existence solely because of the generosity of a philanthropist, and we should be grateful for that! And 22 years is a long time, perhaps too long to begrudge a repeat. But I still am a fan of variety, and if you only know Atys you don’t know the full diversity of the French Baroque. I recommended some DVDs in the review, here are some clips. Most of these productions are a lot more daring and modern than Villégier’s Atys. Most similar to Atys is Lully’s Armide, which is way better than Rossini’s and the LAF’s DVD is awesome. The Armide is Stephanie d’Oustrac who was Cybèle in Atys in France (and in the forthcoming DVD) but did not come to New York, unfortunately. Her replacement was talented but a little undersized for the role. D’Oustrac is epic. I love this goofy, almost all dance production of Rameau’s Les Paladins. I saw the Tafelmusik-Niquet "Persée" on DVD the other day http://amzn.to/nN9Uyx: along the same aesthetic lines, wonderful to have as a recording, gorgeous music and elaborate choreographies and costumes, but but but… it's like binging on dessert. And taking your sweet time doing it, as you say. And there's always the feeling that the Lully stuff is great *within its own category*. If forced to chose between Lully or Rameau (or Charpentier), there's no competition. Though maybe I should see that Armide before making the final judgement. I haven't seen that Persée (or indeed any Persée); I'll be sure to look it up! As an opera I like Armide more than Atys, but also prefer Rameau to Lully, more contrast and harmonic interest. I'm not sure how much Rameau has been performed in NYC (he will be included in the Enchanted Island extravaganza this season at the Met) but I haven't seen anything save Platée, which the City Opera used to do sometimes, it was a delight.